How to Be the Most Prepared Homeowner on the Block — Hugh F. Miller Insurance Agency, Inc. The plumbing is backed up. Needless to say, unexpected disasters and emergencies happen. We all like to think we’d know what to do in an emergency. But how do we really know what we’ll be prepared for if all we do is think about what to do in an emergency, instead of planning what to do? So, here’s what you can be sure of. You can make plans and preparations for yourself and your family in your home in case disaster strikes, or an emergency were to arise. You can even take precautions to help reduce your risk of things like frozen pipes or a burglary. And you can do so with the compilation of lists and links we’ve provided in this blog post. Here’s how to be the most prepared Homeowner on the block. The first step to being a boss Homeowner, is to be organized. Keeping an organized set of binders full of pertinent information can be really handy instead of having to search all over your home for all of your records, manuals, and other documents. These binders can save a lot of time and trouble for small emergencies or accidents. Auto – Include copies of your registration, VIN numbers, Insurance policy information, etc. Personal – This is a good spot to put your life insurance policy info. Keeping bank information or other pertinent personal info in this binder may be appropriate also. Manuals – Hold on to your manuals for things like your microwave or refrigerator. This could save you the trouble of needing to hire a handyman if you could diagnose and fix a problem yourself. Medical – Keep medical records here. Also store your Health insurance policy info with your insurance card information here. Keep things like your doctor’s number, names of medicine you or a family member may need, and even food allergies. For full details on storing your valuable information in a fire-proof safe, check out this post. Consider having a binder prepared for emergencies only. Keep the binder with you on vacations or give one to a house-sitter or babysitter. Include doctor’s numbers, family member’s numbers, and a plan for emergencies like a broken arm, natural disaster, etc. Having the necessary info can give you peace of mind when you are not home. Having odds & ends around your house organized can help you be efficient for other happenstance, like power outages or even for minor cuts and injuries. One thing you can organize is the placement and arrangement of your batteries and flashlights. Use a divided container to store batteries according to size, and place that container in a common, easily accessible area for the whole family. Placing fully charged flashlights in strategic places will also save you time. Velcro a flashlight next to your fuse box in case of a blown fuse to help you out when you can’t see. 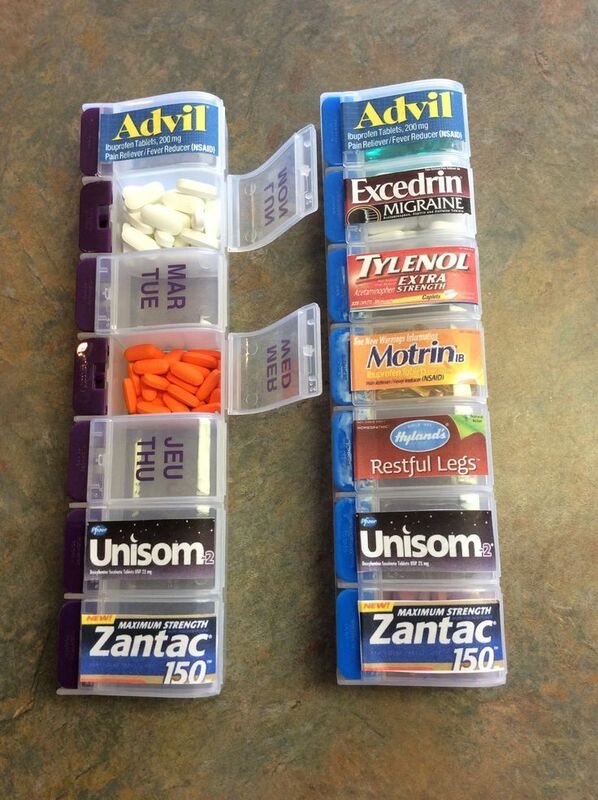 A second thing to organize would be a first aid kit. medical tape, cotton swabs, q tips, gauze, and ace wraps. For an even more extensive list, check out A Bowl Full Of Lemons’ blog post for an emergency preparedness first aid kit that was put together by a nurse (so it’s definitely got everything you’d need!). The second step to becoming the best homeowner on the block is to prepare yourself and your family for a disaster or emergency. The best way to do this, is to have set plans in your home for any kind of disaster or emergency, and to practice those plans. For us Midwestern families, our most “common” disasters would be that of tornadoes or severe storms. By setting up a safe area in your basement or storm shelter, you could be making a difference in your family’s survival during a tornado. Have this area equipped with survival kits or a survival station, like this one here. For other emergencies like a house fire, have your whole family know what to do. Print out a house plan with the safest, quickest way out of your house. Then have your family practice this, just like they would in school. Knowing the best route will ensure your family acts quickly in case of fire. When it comes to your home and your family, there’s not enough preparing you can do to ensure their safety. That’s why, along with all the tips we’ve given you, there’s one more that is most important of all. Insuring your home, health, and life can make the difference in your ability to carry on after a disaster, injury, or even death. Don’t leave your family to fend for themselves if there is storm damage to your house, someone becomes sick or injured, or if someone were to pass away. You should protect your family, and Hugh F. Miller Insurance offers protection you can trust. Request an appointment with an agent to insure your home, health, or life. Don’t leave your family unprotected. Be the best homeowner on the block, and purchase homeowner’s insurance.